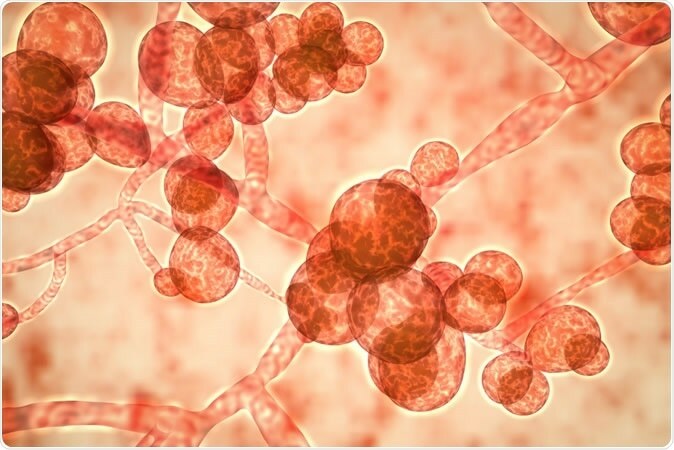 Candida auris – a fungus, is one of the newest organisms to plague humans with its resistant nature. It is as present resistant to the available antifungal agents and is emerging as a threat around the world. The fungus is capable of entering into the blood stream and can cause life threatening infections. It was first isolated and identified in 2009 in a Japanese patient. A 70 year old woman admitted at a hospital in Tokyo was found to have an oozing infection of the ear that was difficult to treat with conventional antifungals. C. auris was isolated from the infection. It was named “auris” meaning related to the ear by microbiologists Kazuo Satoh and Koichi Makimura. Over years there has been an advent in its spread and it has been commonly found in hospitals and nursing homes. According to the Centers for Disease Control and Prevention (CDC), there have been 587 cases of confirmed C. auris infection in the United States from New York, New Jersey and Illinois. The infection has spread to around 15 countries including India, Pakistan, Spain, South Africa and Venuzuela. The major problem with C. auris infection is its resistant nature. It can resist major antifungals available for treatment. At present over 90 percent of the C auris infections are resistant to at least one antifungal agent and around 30 percent are resistant to two or more antifungal agents. This means infection with the fungus is difficult to treat and once detected at a facility, it is difficult to eradicate. C. auris commonly affects the elderly, infants or neonates and mainly people who have a weak immune system. These individuals are also more likely to struggle to fight off the infection. Healthy normal individuals are less likely to get C. auris infection. The infection commonly manifests as fever, body ache, chills, tiredness etc. CDC has now put this fungus in a ‘serious threats’ list saying that candida is a common fungus but this species can be life threatening. They have said that nearly 50 percent of the cases infected with C. auris succumb to the infection within 90 days of contracting the infection. Dr. Tom Chiller, head of the mycotic infection section of CDC said, “It is a creature from the black lagoon. It bubbled up and now it is everywhere.” No public announcement was made over the years for fear of panic. 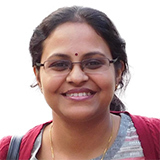 According to a study titled “Multiple introductions and subsequent transmission of multidrug-resistant Candida auris in the USA: a molecular epidemiological survey,” published last year in The Lancet Infectious diseases, transmission of C auris was reported between May 11, 2013, to Aug 31, 2017. The study was funded by the CDC. The authors led by Dr. Nancy Chow performed a molecular epidemiological survey looking at the genes of the isolates of C. auris from patients in ten US states to understand its spread and its genetic diversity. The states from where isolates were obtained were “California, Connecticut, Florida, Illinois, Indiana, Maryland, Massachusetts, New Jersey, New York, and Oklahoma.” Other countries from where isolates were found included “Colombia, India, Japan, Pakistan, South Africa, South Korea, and Venezuela”. Of the clinical cases, 60 (82%) were from New York and New Jersey. Genetically these were similar but distinct from south Asian isolates. Those from USA were similar genetically to the isolates from four global regions write the authors of the study. They speculated that while transmissions could have occurred due to travel, there seemed to have been local transmissions as well that led to the genetic diversity. Yet another news release from last year states that C. auris outbreak was connected to the reusable temperature probes or thermometers. This news in the BMJ in 2018 showed that a cluster of patients in an Intensive Care Unit of a UK hospital was affected with the infection due to contaminated thermometers.